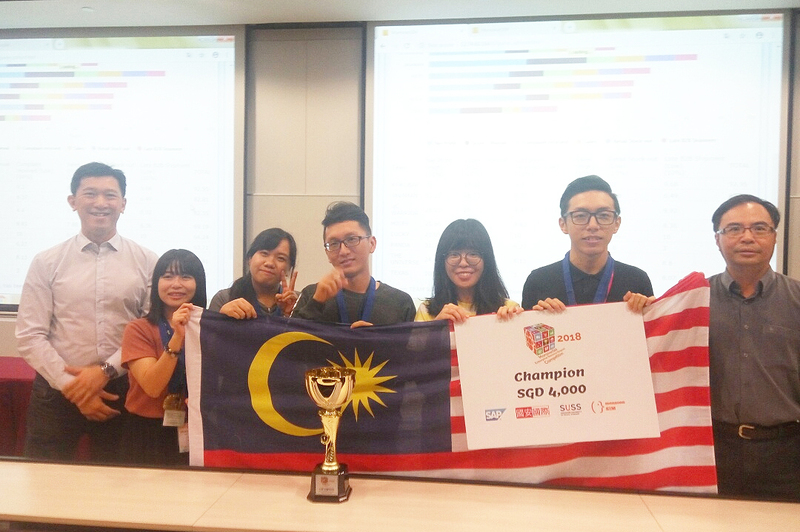 Big wins for UTAR once more, with three teams from Faculty of Information and Communication Technology (FICT) securing the first (champion), second and fourth places at the MonsoonSIM Enterprise Resource Management Competition (MERMC) 2018 Regional final round. The competition was held at Singapore University of Social Sciences (SUSS) from 21 to 22 September 2018. They were accompanied by FICT Deputy Dean for Student Development and Industrial Training Dr Choo Peng Yin. 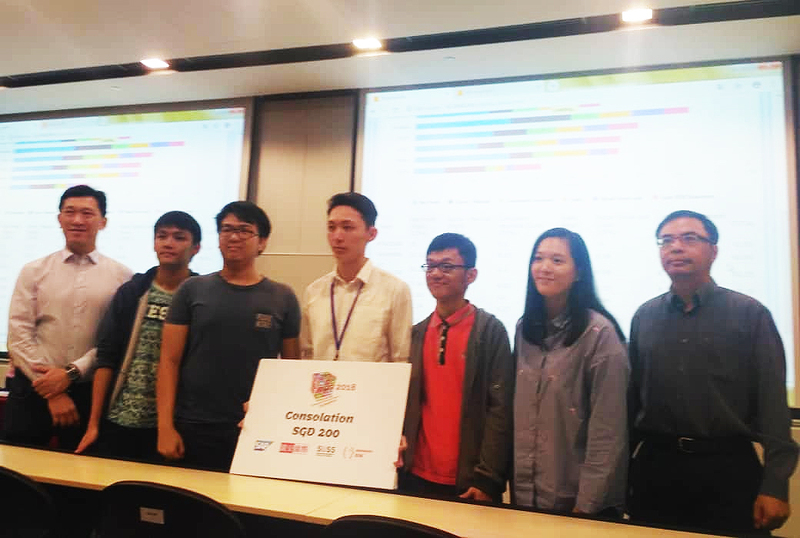 The reigning champion was team Kokobap, consisting of Business Information Systems students Chee Chi Kian, Lau Hooi Fen, Lau Zhi En, Lim Wen Yi and Wong Jai Lynn, who won a cash prize of SGD4,000, along with medals for each and a team trophy. 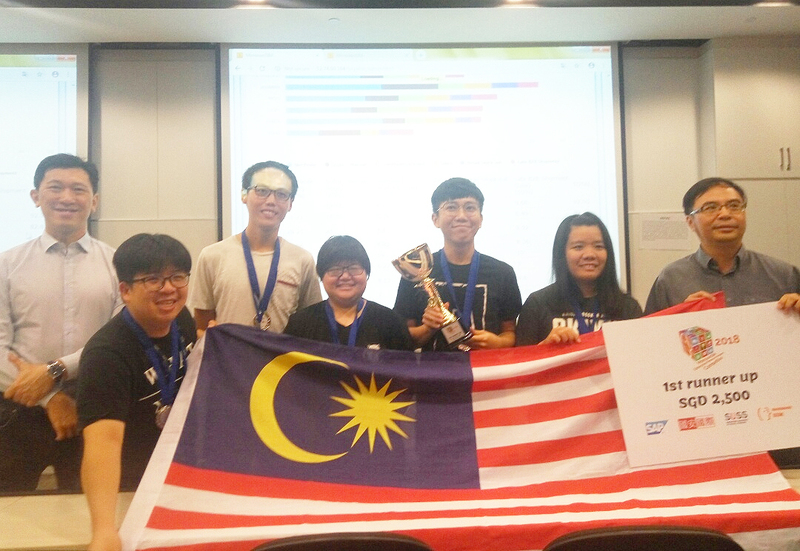 Second-place winner, along with a cash prize of SGD2,500, medals each and team trophy, was team Javaman, which consisted of Bachelor of Information Systems (Hons) Business Information Systems students Loo Wei Jing, Chin Kah Men, Chua Wei Jie, Chew Zhi Shian and Wong Wai Man. Team MicFs, who won the fourth place and SGD200 cash prize each, comprised of Bachelor of Business Administration (Hons) student Yap Jin Yong, Bachelor of Computer Science (Hons) student Tan Mun Keng and Bachelor of Information Systems (Hons) Information Systems Engineering students Jeffrey Cheah, Yeah Zi Hao and Lim Yan Yee. The three winning teams were part of the five teams that were selected to compete in the final round, after winning the top 10 places at the semi-finals level. The five teams also expressed their gratitude to Informativ Sdn Bhd for the sponsorship offered to compete in SUSS.